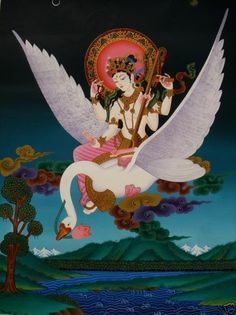 I was trying to fit my relationship with Saraswati into the pagan-polytheist godspouse paradigm, with all the problems that implies for someone like her. In the end, it wasn’t really what either of us wanted, and we both knew it. I kept wondering what was wrong, why it felt so forced. Now I know why. She was faking it. Posted on June 26, 2015 by Redfaery	This entry was posted in My Life with the Gods and tagged paganism, polytheism, Saraswati. Bookmark the permalink.